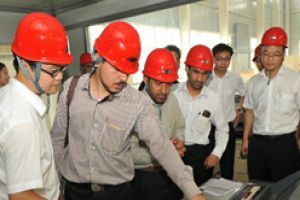 Heater is indispensable part for MOCVD equipment. Tungsten puiry above 99.95% materials will provide high temperature resistance work performance for you. 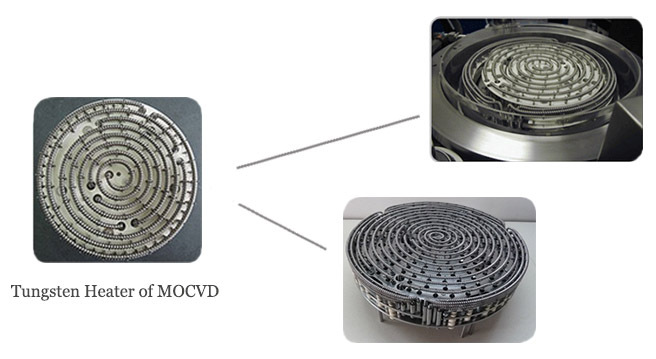 MOCVD(Metal-organic Chemical Vapor Deposition) is a chemical vapor deposition method by Thermal Decomposition of Organometallic., used to produce single or polycrystalline thin films. It is a highly complex process for growing crystalline layers to create complex semiconductor multilayer structures. 1. With low deposition temperature without halide raw materials, which ensure there is no etching reaction in the deposition. It is suitable for mass production. 2. It could directly grow the suede structure of the ZnO film, and effectively increase the optical path of the incident light, which contribute to the solar spectrum plays a good role in the trap. This expensive system is applied more for use in the field of optoelectronic, semiconductor lasers such as manufacturing, LED, and photodetectors. 8. The quartz wall 9. Output. 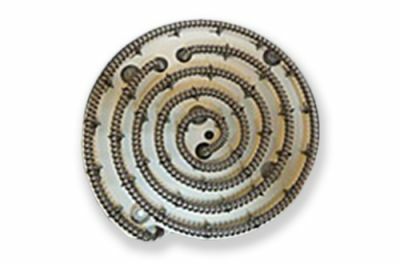 During the extensive coating process in the MOCVD reactor, the substrate wafers are carried by rotating susceptors, also known as plates. The properties of the susceptor material have a key influence on coating quality and therefore on the chip reject rate. 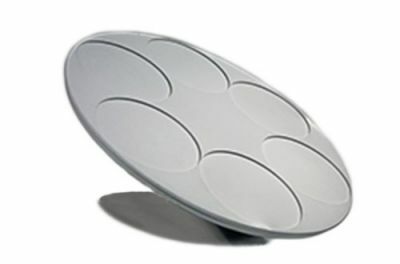 Our Tungsten susceptors help ensure the efficient manufacture of high-quality LED wafers with low wavelength deviation. Many important factors contribute to this, such as the high-temperature resistance and uniform thermal conductivity. 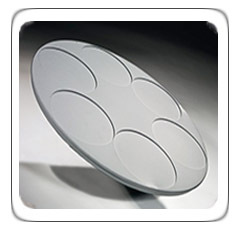 We use specially selected top grades powder for our tungsten susceptor plates. 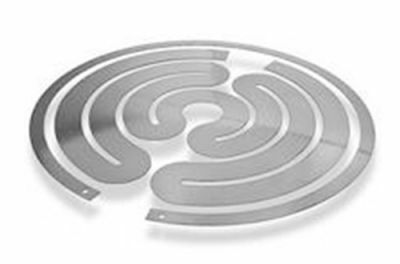 High-precision machining and homogeneous coating ensure that the wafer carrier pockets have a uniform profile and the susceptors have high flatness. Thanks to our exhaustive quality controls, we offer our customers top-quality products that are fully traceable. We are also continually developing our materials and components further in close collaboration with manufacturers and operators of MOCVD units. Together we want to increase chip yield in the production of LED wafers. 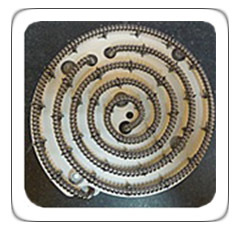 Besides susceptors, we also supply other tungsten components for all current MOCVD reactors. In Table 2 compared together the growth parameters in MBE, CVD and MOCVD methods.